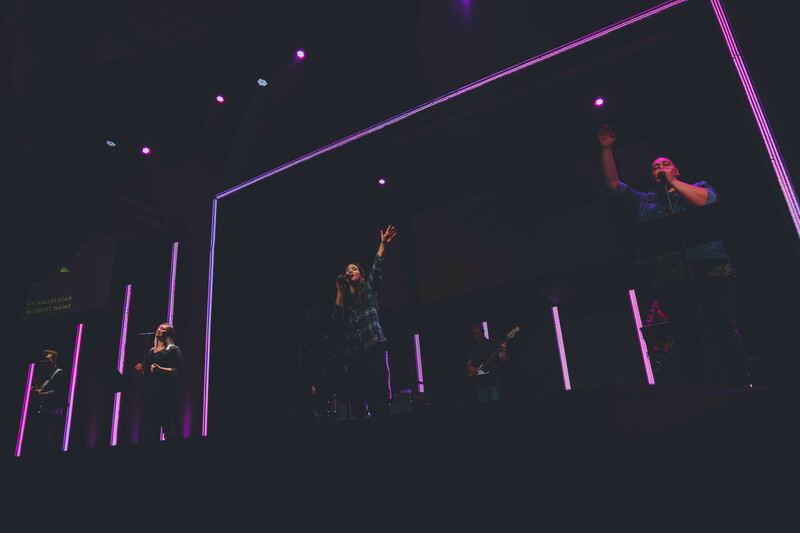 Our worship team exists to encourage authentic times of worship at The Vineyard Church. Team members offer their musical talent, technical skills and spiritual gifts to lead people into both personal and corporate worship experiences. "I have been attending the Vineyard for over 3 years. Coming from a much smaller church, it took me and my husband a long time to step out of our comfort zone and actually commit to The Vineyard as our church home. We spent the first 2 years just sneaking in on Sundays for service, then quickly heading out. We finally took the step of joining a home group 1 year ago. Then Bam! We were instantly in community with honest, caring people that just wanted to do life together. Taking the final step in joining Team Vineyard has been such a blessing! Within 4 months, I now have multiple connections and know so many faces and names on Sundays! The Vineyard has always been a great church, but when we joined the team, it became home. Being able to share my love of worship with the worship team has allowed me to step further out and meet more people to connect with on a weekly basis. Don't waste years without plugging in as I did! Join Team Vineyard, join community in Christ! Having friends at church to help us walk through life has been amazing!"